Are you looking for a Simple 4th of July Cookies Recipe to make this year??? These Stars & Stripes Cookies are so simple even the kids can help you make them and they really don’t take long at all! 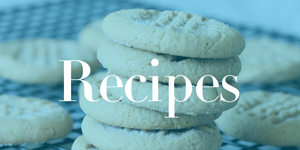 I use the Traditional Betty Crocker Sugar Cookie Mix and add about 1/2 Cup of Flour to thicken the dough so that it holds its shape while baking. Then I roll the dough out to about 1/4″ and cut out Star Shapes, I used about a 2″ Star so they were on the small side, but you can use just about any size cookie cutter you have on hand, it really doesn’t matter. The first step is to dip 2 points in Melted White Chocolate or Candy Coating Melts. Then sprinkle the white chocolate with Blue Sprinkles before the chocolate hardens. This creates the Blue area of the cookies. Next use Red Icing in a Wilton Squeeze Bottle or in a Decorating Bag with a small hole at the tip to create the stripes. Allow the cookies to harden completely before placing them on a platter because you don’t want to mess up the designs. My kids had SO MUCH FUN with these cookies they were impressed and I love when something cute doesn’t take all afternoon! Prepare Sugar Cookie Mix according to Package. Crockpot Chocolate Bread Pudding Recipe!